Why take the risk? A small spill and a north easterly breeze is all it takes and the Dunedin coastline is the next disaster area. The Albatross colony colony, the Yellow Eyed Penguins, Hectors Dolphins, seals, sea lions, your beaches. bays, favorite fishing spots and seafood gathering areas. Coated in oil. Dead. The Environmental cost. Big oil related disasters make the news and while the chances are small, they increase greatly as increasingly remote, deep and exposed areas are exploited. 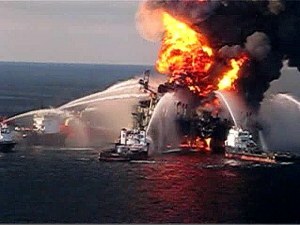 But as the Rena demonstrated last year, it doesn't take a lot of oil to make a big mess. And accidents just keep happening. In 2007, the Umuroa facility, operated by Norway's Prosafe and Australian company AWE, spilled 23 tons of crude oil off the Taranaki coast. The spill affected nearly 15 kilometres of coastline, took 232 days to clean up and resulted in a successful court prosecution. In 2010, Austrian oil giant OMV accepted responsibility for a large spill from the Maari field that saw oil washing up on Kapiti Coast. The Rena disaster revealed just how ill equipped authorities are to contain anything beyond a minor inshore spill in perfect weather. The offshore wells in Taranaki are at depths of no more than 150 metres, the Raukumara Basin off East Cape, where Petrobras has been given a permit to drill, is up to 3100m deep and the BP exploratory well that blew out in the Gulf of Mexico for three months in 2010 was at a depth of only 1500m. Anadarko (one of the DeepWater Horizon companies) plans to drill off Taranaki and Otago in up to 3000m of water. In 2009, the Montara spill off the west coast of Australia resulted in the equivalent of one Rena-sized disaster every day for 74 days in a row. Why would New Zealand be immune from such risks? 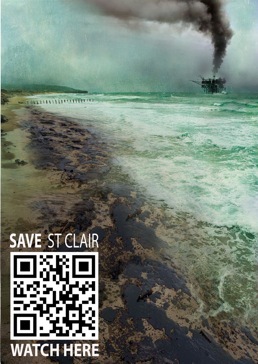 "If there is a leak from a deep sea oil rig there is no easy way to stop it. The consequence for New Zealand's environment, economy and reputation would be catastrophic." Economics. What really are the benefits to Dunedin of possible oil exploration? Or the remote chance that they actually find anything? Yes - a few people will undoubtedly make money - but the great majority won't and yet if anything goes wrong will end up paying the price. The parallels with the Stadium debacle are unnerving - from the promotion echoing the 'just build it' line to the hollow promises of jobs and economic growth. Look how well that turned out. In the US, Anadarko is directly implicated in grossly misleading the public and elected officials about jobs and revenue from proposed energy development. The reality is FiFo (fly-in, fly-out) jobs for people already in this highly specialised industry and a few crumbs for the locals - and quite simply if you can’t offer the lowest price or biggest incentive Anandarko will just go elsewhere. Can we trust our local elected officials to make the right choice when Oil companies will do everything possible to bring them around to their side? As it is, we may not even get a say as the present government is hell bent on fast tracking any development no matter what the cost to the environment. The Future. Do you really think there is merit in continuing to extract and burn as much fossil fuel as fast as possible with no regard to the next generation? When even conservative institutions such as Lloyds are drawing attention to the risks of exploration and drilling in the northern hemisphere why is there such a rush to drill here? Of course there is much more to it than that - you'll have your own view on climate change but from where we stand, the science is both compelling and terrifying in equal measures. Even if we wean ourselves off dependence fossil fuels tomorrow, tremendous damage has been done and we may well have passed tipping points - the next few years will be telling. As it is the transition to a low carbon economy is going to difficult and the sooner we start moving towards it the better. More oil isn’t the solution - it's part of the problem. So this is where we stand - the combined environmental, economic and future risks of oil exploration off the Otago coastline outweigh the short term benefits. We know we are not alone - when over 1000 people crammed into five different lecture theatres on campus to hear Dr James Hansen speak, it shows the level of concern and awareness - this will only grow. But right now, it’s important to stand up and make it known what you think. It's a simple choice.